On Sunday, Mexico pulled off a great result in soccer history when they beat defending World Cup champions Germany. Before the game, there was a belief that Mexico could possibly come away with a draw for a few reasons: This is one of the most talented Mexico teams in our World Cup history and... they historically tend to meet the challenge of playing better teams. Holding Brazil 0-0 in 2014, beating France 2-0 in 2010, and drawing Italy in 2002 are the three that first come to mind. But this win was different! This Germany team had an aura about them over the last few years due to their machine-like work in qualifying and the Confederations Cup a year ago, which included a 4-1 dismantling of Mexico in the semis. 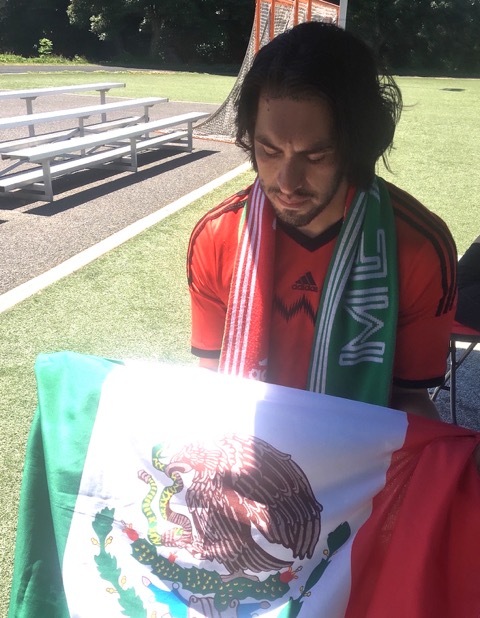 We saw a different Mexico team against Germany on Sunday. “Play for the love of winning and not for the fear of losing, ” was what Mexico’s head coach Juan Carlos Osorio told his players before the game and they did just that from the very first kick. Mexico played fearless, aggressive, counter attacking soccer throughout. Each time Mexico broke the German black line, the hair on my skin rose to the air, only for each early attempt to lead to nothing. Finally, in the 35th minute, Mexico stole the ball and Carlos Vela found Javier “Chicharito” Hernandez, who broke through the German defense. Hernandez passed to a streaking Hirving “Chucky” Lozano down the left side. Lozano, the young and daring 22-year-old PSV forward, cut to the inside of the right and smacked his eight-yard shot into the back of the net. For many years, I’ve thought about what a goal of that magnitude would feel like, playing the idea over and over my head. Once if finally happened, the feeling was indescribable. My friends and all of the Mexico fans around us jumped up and down screaming with joy, hugging and grabbing each other. Mexico chants rained down. It was a moment I will remember all of my life. For the next 55 minutes, I was in a cloud of nerves that Mexico would find a way to lose the lead. Yet every save and every missed German chance was met with “Me-xi-co” chants. As the final whistle blew, a euphoric cheer erupted as fans finally saw Mexico pull off a victory against one of the big boys. Mexico’s famous folk song “Cielito Lindo”, which translates to “Sing and don’t cry” was sung over and over. Tequila and beer were consumed in celebration and belief of Mexico achieving something special was no longer just a hope, but a reality. Mexico next face the test of South Korea on Saturday at an 8 A.M. kickoff. The hope of every Mexican fan is that they can continue the good form and that this could truly be a special summer for every fan. Click here to listen to Ivan’s Your Soccer Passport Podcast: World Cup Edition. Click here to read Ivan’s article Rafa Marquez Bids His Home an Adios One Last Time. The Toffee Club enjoys working with local football writers. Contact Julie on the Toffee Club Facebook page for more information on how you can be a guest blogger for our World Cup blog. Ivan Sanchez is a man of many talents. 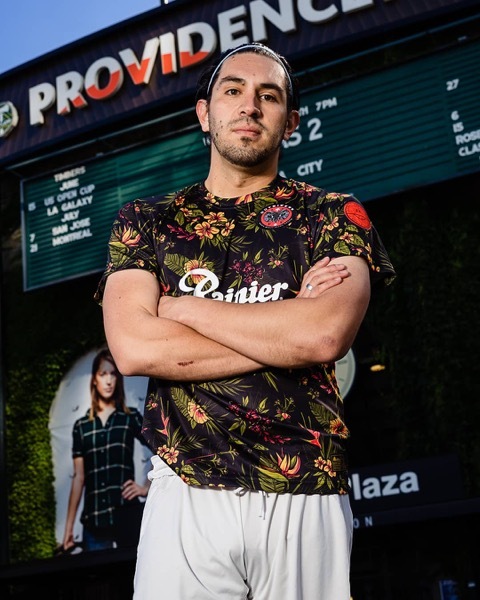 Click here to read his blog : Soccer Goalie and Podcaster Ivan Sanchez Breaks Down the World Cup. Yes! You Can Bring Your Kids to the Toffee Club!